In a season marked by giving, I love the idea of giving back to our community and our planet. I'm pushing for another "Occupy Christmas" movement this year. Last year, a lot of people seemed enthused about the idea of bringing the consumerism down a notch for the holidays and bringing the tangible giving up for those in need. Less plastic toys for privileged kids, more food on the table for those without... that kind of thing. In a season marked by giving, I love the idea of giving back to our community and our planet. There are many companies focused on helping others as a part of their business plan, so the purchase of a holiday gift can also help someone in need. Here are some great ways you can do your Christmas shopping and give back at the same time. 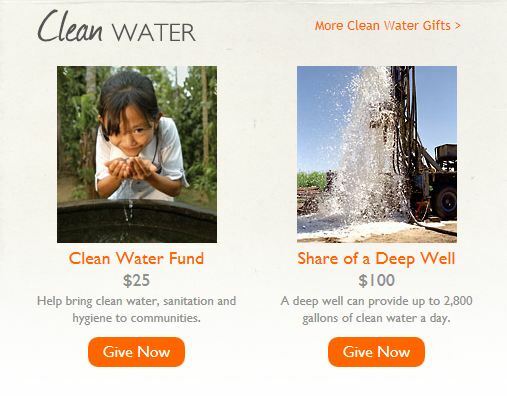 Pure Charity is an easy way to make all holiday (and general) purchases work for good. You can register with them to earn money back on everyday purchases at places like Target, Best Buy and Shutterfly. That money gets put into a charitable giving account that you can then disperse to your favorite causes. Like a boss. 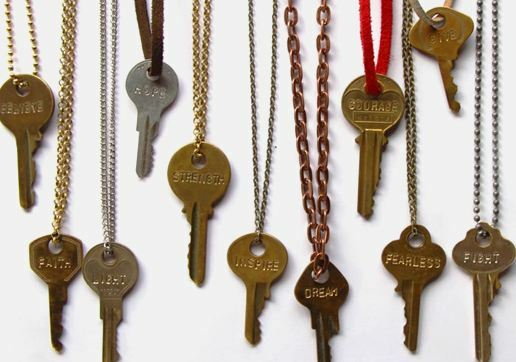 In addition to being cute and fashion-forward, 31 Bits Jewelry is made out of 100% recycled paper, posters, and magazines by internally displaced women in Northern Uganda. 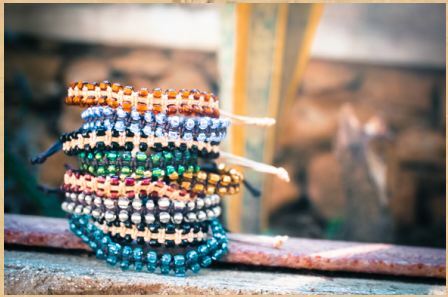 Each piece of jewelry is unique and hand-crafted by a woman in the community of Gulu, Uganda. Punjammies are sari-inspired pajamas. Each pair of Punjammies are created in an after-care facility for women who have been rescued, released or escaped from a life of forced prostitution. Holistic aftercare involves quality medical care, emotional safety, education and the tools to create a new way of life for herself. Haitian Creations is a program of Heartline Ministries. The bags and jewelry from Haitian Creations are handmade by women in Haiti who are a part of a sewing program that is giving these impoverished women lifelong skills. The ability to earn money gives these women the ability to be self-sufficient, to support their families and to have the independence they need in a society where this is often difficult. Each artist's name is on a tag in the purse that she made. Soon, you will be able to look up the artist of your purse on the website and see her picture and story. I am so in love with Krochet Kids. Not just because their hats are perfect for hiding my unwashed hair at school drop-off. And not just because my friend Sarah and her husband Blake are pioneering their program in Peru. What I love about Krochet Kids is that it's a company that is empowering impoverished people to earn an income for themselves. Krochet Kids offers 3-year programs to women living in poverty. In this program, the women learn to crochet hats to earn an income and be able to fully support themselves for the first time in their lives. Based in Uganda and Peru, the hats are sold in the U.S., on their website and at most Nordstroms. 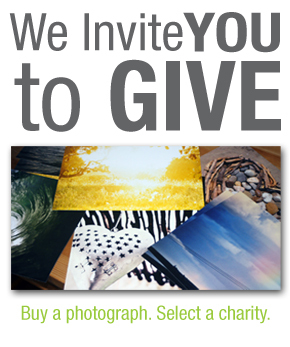 Give Prints is a for-profit company working to give financially to various non profits (501c). Just as one values the beauty of a print, Give Prints values the beauty of lives changed and gives 50% of their profits to help love people around the world. The heart of Give Prints is to help people send love to others through the purchasing of photo prints. It was born out of a photographer's desire to help fellow photographers publicize their work while helping worthy organizations that are already reaching out to people all over the world. The photographers showcased on the site gave their talents to give to their charities. Ever/After Clothing is a casual lifestyle clothing brand for kids and adults. They've paired simple, modern design with super-soft premium fabrics. My kids love their t-shirts and cozy leggings and yoga pants. Best of all, the company will donate 25% of the net profit from each garment you buy to the cause of your choice. Every garment comes with a change the story card that holds the value of this donation. They can then enter the code online, and see how they are helping to change the story. A gift from Compassion International helps provide clean drinking water, medical treatment, disaster relief, food supplies and much more for Compassion-assisted children and their families. Once you purchase a gift, you will have the opportunity to choose from a variety of complimentary greeting cards to send to your honorees. For a last-minute gift option, you can print a card at home or send via email. The Heart of Haiti line at Macys allows artisans in Haiti to produce beautiful handcrafts that are then sold in department stores throughout the US. Partnered with Fairwinds Trading and BrandAid, artisans receive half the wholesale price of every item in the collection. The Leakey Collection was founded in 2002 by Katy and Philip Leakey. Their work includes the design and manufacture of contemporary jewelry that is hand made by the Maasai women and men of Kenya from environmentally sustainable materials. The flagship item of the collection Zulugrass. Zulugrass is lightweight, durable and versatile. Depending on the color and amount of strands worn the look can be as subdued or as colorful you want. The Leakey Collection is available in over 1200 stores nationwide or online. The Not for Sale store generates enterprise & employment to prevent human trafficking and create new futures for survivors. Every purchase you make is an action to end slavery -- because no one should be for sale. Journals, bags and scarves that give freedom. Collaborative World Brand is a for-profit apparel company that exists to support the non-profit organization. They call it a "Co-Profit". Collaborative World Brand donates 50% of their overall profit from the sale of clothing to partners already doing good in the world. Their mission is to actively pursue new and more extraordinary ways to give, while encouraging others to do the same. Rescue Gifts help refugees and others who have been impacted by war and natural disaster. Holiday shoppers can choose a gift that inspires them and dedicate it in honor of a special person in their lives. The IRC will send gift recipients a beautiful acknowledgement card with the gift giver's personalized message. There's a perfect gift for everyone. For a mom: A Safe Delivery ($24) can ensure critical supplies for the safe birth of a child in a crisis zone. For the foodie or friend with a green thumb: A Community Garden ($60) can provide tools and seeds to refugees who have been resettled in the United States, so that they can grow their own fresh, healthy food in an IRC community garden. For a teacher: A Year of School ($52) can supply the tuition, books and other materials for one year of a child's schooling in a country recovering from war. SlowColor is a fair-trade company allowing weavers in India to work using traditional weaving techniques for a fair wage. Their scarves are soft, beautiful and made of non-toxic dyes. 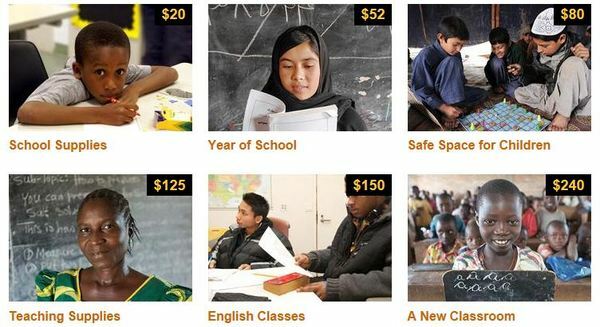 World Vision has an amazing gift catalog where you can buy a number of innovative and sustaining gifts for people living in poverty. Their website even allows you to purchase and print a card letting a loved one know you have donated in their name. You can purchase medical attention for a pregnant woman, a goat that can provide milk to a child -- even a grove of fruit trees! This is a small list of companies that are dedicated to making a difference through commerce. Know of more ways to gift things that give back? Leave a comment and share about the organization.